Save $1.00 on any two Kellogg’s Special K Cereals! Save $1.00 off two boxes of any flavor Big G cereals! Cheerios, Cinnamon Toast Crunch, Honey Bunches of Oats, Kix, Total, and many more. Click here for the full list. Coupon expires 1/31/17. 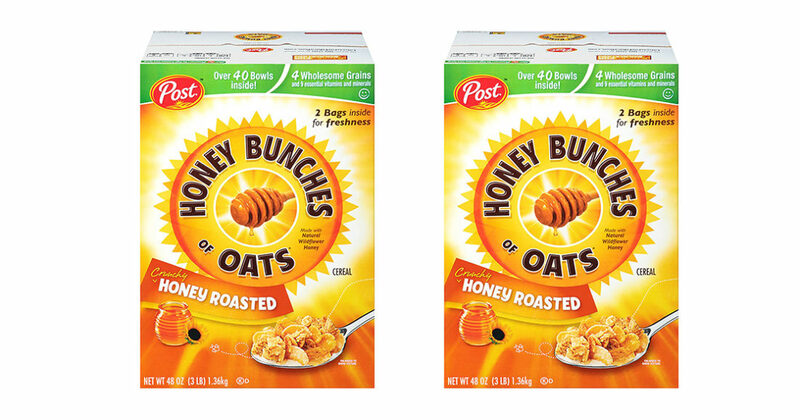 Save $1.00 when you buy two boxes of Honey Bunches of Oats cereal! Honey Bunches of Oats is a delicious addition to your breakfast. With 14 vitamins and minerals and 10 grams of whole grains per serving, it’s also a nutritious choice. With this coupon, get $1.00 off when you buy two boxes.